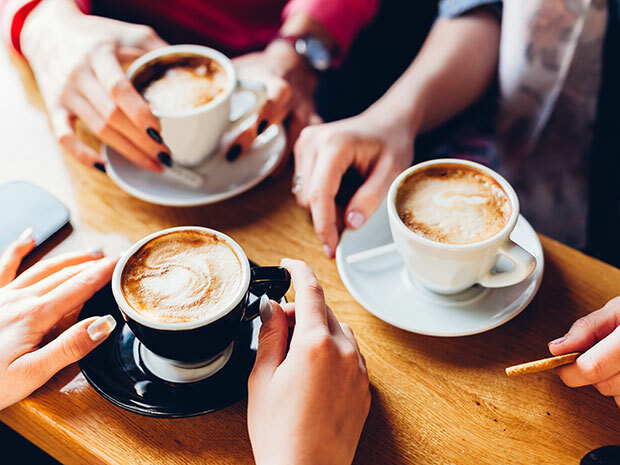 High on next year’s to-do list for most foodservice operators is to boost high-margin coffee sales across their campuses. With 2018 winding down, it’s time to consider the latest innovations in coffee brewing equipment and how they can tie into beverage trends to ramp up service and sales at colleges and universities. Here’s a peek at four coffee equipment trends brewing for 2019. These days, more people, especially millennials, are not just coffee drinkers. They’re coffee aficionados, highly conversant in the differences between types of beans and degrees of roasts. Those knowledgeable consumers demand a quality cup, and operators must satisfy that thirst. “A growing number of our operators are using single-origin coffee beans, and they want to extract each varietal differently to pull out those nuances of flavor,” says Karalynn McDermott, senior vice president of market development at Bunn-O-Matic® Corporation. That’s where the new Infusion Series® Platinum Edition™ by BUNN comes into play, says McDermott. The new brewer’s Visually Intuitive Programming™ allows operators to dial in the right brewing cycle for each bean varietal via a proprietary 4.3-inch touchscreen. The Platinum Edition’s exclusive Peak Extraction™ Sprayhead, coupled with SmartWAVE® technology, provides for uniform extraction by increasing turbulence in the coffee bed, increasing complexity of flavor and aroma, cup after cup. “Infusion Series Platinum Edition is a sought-after brewer for coffee bars on campus,” McDermott says. College students are not just drinking a cup or two at breakfast in the cafeteria. Rather, they are enjoying coffee all day—and throughout the evening—at kiosks, in study halls and at their dorms. Thus, placing coffee service in convenient areas is key for successful sales, as convenience of location for food and drink is important to 53% of students, according to Technomic’s 2017 College and University report. That’s fueling the growth of remote, self-serve coffee brewers, says McDermott. “Remote equipment monitoring and management is super important,” she says. The Infusion Series Platinum Edition brewers and the BUNN Sure Immersion® bean-to-cup system both have the ability to communicate with foodservice operators on campus about sales, the number of cups brewed and whether any maintenance is required. Labor costs are minimal with these brewers: they are largely hands-off, generally requiring only once-a-day servicing. Also convenient for users is the cashless payment option available with these units. According to Technomic’s College and University report, 50% of students are likely or very likely to choose credit/debit and mobile payment systems, so choosing equipment that accommodates that desire can be helpful for increasing sales. Coffee isn’t the only thing catching students’ eyes, though. A growing number of consumers are focused on health and wellness, making sparkling water an area of opportunity. Fitting in with those growing concerns is the BUNN refresh system, which dispenses purified and chilled still or lightly sparkling water on demand. Intuitive visual cues at user-interaction points guide students in filling their own reusable water bottles—reducing single-use plastic bottles and appealing to students’ desire for sustainable options. At the coffee bar, foodservice operators are also using this equipment to create sparkling coffee drinks, aguas frescas and other healthy beverages, says McDermott. Another hot coffee trend, especially among college students, is cold-brew coffee. “Operators are asking how they can be part of this cold-brew trend and make it part of their operation,” says McDermott. Making cold brew coffee is a lengthy process that can take several days to complete. But operators wanting to cash in on the cold-brew craze can do it easily with BUNN’s NITRON® Cold Draft countertop dispenser. It can dispense two different cold-brew products or iced coffee and tea in a slim, compact footprint. The kegless system uses 1-gallon bag-in-box products; the concentrate can be mixed to create five to 13 gallons, depending upon dilution. This machine also dispenses nitrogenated cold-brew coffee on demand with patented gas-infusion technology that delivers three minutes of cascading microbubbles. Those bubbles add a creamy texture to the delicious cold-brew coffee. For operators who want to keep up with college students’ and other patrons’ coffee desires, opting to use the latest pieces of equipment can help. From getting the most out of single-origin beans, to offering fresh sparkling water, to offering cold-brew and nitro coffee, it’s key to use high-quality equipment that makes high-quality beverages.